David Cronenberg is undoubtedly one of the most innovative directors working today. His film aesthetic is famed for its idiosyncratic incorporation of body horror and it has earned him a large cult following. His standout features Videodrome, The Fly and Crash are all intriguing classics that have left an indelible imprint on world cinema. His talent for challenging perceptions of film has again come to the fore in this latest adaptation of Don DeLillo’s novella Cosmopolis. It is a slow-burning, hypnotic, nihilistic drama that has sharply divided critics. It portrays a day-in-the-life narrative about Eric Packer (Robert Pattinson), a 28 year old billionaire asset manager, and his limousine ride across Manhattan to his father’s old barber. His journey is protracted by a presidential visit to the city, an erupting anti-capitalist riot and a funeral procession for Sufi rapper Brutha Fez (K’Naan). The luxe limo is converted into a makeshift office as it hosts Packer’s sexual encounters, meetings and discussions. It gradually becomes clear as the film progresses that Packer is orchestrating his own symphony of self-destruction. He haemorrhages hefty sums of his clients’ capital by betting against the rise of the yuan. He gets himself all set to divorce his beautiful billionaire wife, Elise Shifrin (Sarah Gadon), after hurting her with his infidelity. The checkmate to his end game is accelerated when he finds himself trapped within a plot involving an aggrieved former employee whose motive is to make Packer’s murder his life’s one meaningful act. All this leads to a pulsating climax. 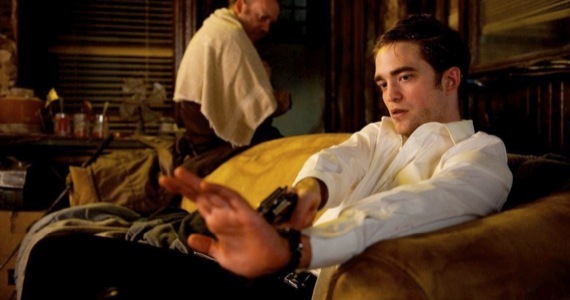 Cosmopolis is self-assured, thoughtful and magnificent. It is a pioneering picture that resets our understanding of what narrative form can be in this millennium. In stating this, this review inserts the caveat that the film’s grotesque polemic form might bore audiences to tears on a first viewing. Its story is mainly conveyed through Packer’s dialogues but they aren’t irresistible like Jesse’s in Before Sunset. Rather, they’re often dense, rambling meditations on technology, economics and values. Varied audience responses to this demanding format will largely determine whether the film is considered a spectacular disaster from a leading director or a cutting-edge masterpiece conceived ahead of its time. Personally, I’m for the latter. Another game subversion lies in its conception and integration of a claustrophobic setting, as much of the film is shot within the limousine. Whilst this does not make for the most compelling viewing, it recalls modern feelings of compartmentalisation most evocatively. Packer’s impulse to systematically annihilate himself may seem too simplistic, however, I interpret his depicted downfall merely as a strong artistic statement. It is analogised when Packer references the protesting Vietnamese Buddhist monks who’d committed self-immolation in the past. Pattinson’s performance as Eric Packer is polished as its mesmeric indifference conceals a psychotic tempest of repressed malaise. Shafts of very dry humour are dispersed throughout the story (Coming from the streeeee..ts to Meccaaa). 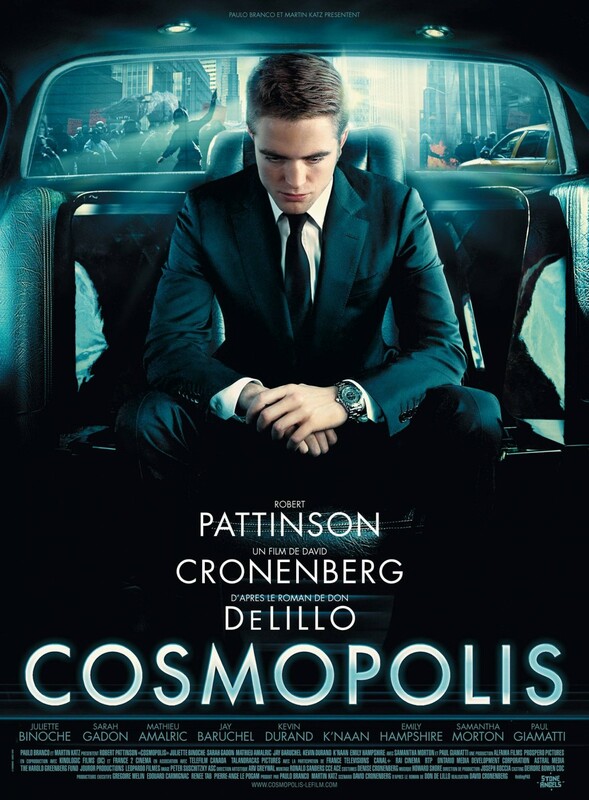 Cosmopolis isn’t an exercise in Mickey Mouse nihilism à la Chuck Palahniuk and Fight Club. It’s the bleak and haunting vision of modernity that only Cronenberg could have realised.